Great Himalayan National Park inscribed as a World Heritage Site. Great Himalayan National Park Conservation Area, a rich biodiversity in Himachal Pradesh and home to several rare and threatened species of flora and fauna, was on Monday approved for inscription on the UNESCO World Heritage list. The decision comes only a day after 'Rani-ki-Vav', an 11th century stepwell in Gujarat earned the coveted status. Located in Kullu district, some 250 km from Shimla, the Great Himalayan National Park (GHNP) embodies the ancient method of environmental conservation in the Kullu Valley. Spread over 905.40-sq km, the Great Himalayan National Park Conservation Area (GHNPCA) includes the upper mountain glacial and snow melt water source origins of the westerly flowing JiwaNal, Sainj and Tirthan Rivers and the north- westerly flowing Parvati River, the Culture Ministry said. Great Himalayan National Park: Great Himalayan National Park (GHNPCA) is located in the western part of the Himalayan Mountains in the northern Indian State of Himachal Pradesh and is characterized by high alpine peaks, alpine meadows and riverine forests. The 90,540 ha property includes the upper mountain glacial and snow melt water source origins of several rivers, and the catchments of water supplies that are vital to millions of downstream users. The GHNPCA protects the monsoon-affected forests and alpine meadows of the Himalayan front ranges. 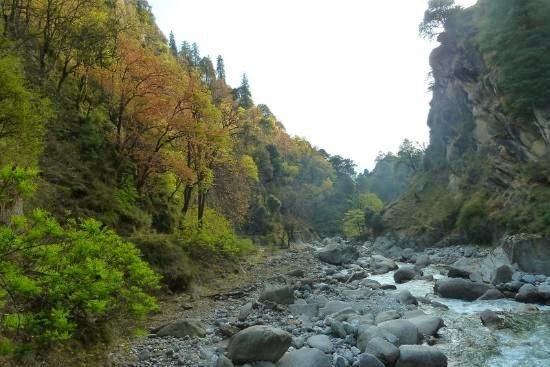 It is part of the Himalaya biodiversity hotspot and includes 25 forest types along with a rich assemblage of fauna species, several of which are threatened. This gives the site outstanding significance for biodiversity conservation.